WoPC Home > U.S.A. > Kalamazoo P.C.C. Kalamazoo Playing Card Co, Michigan, U.S.A. 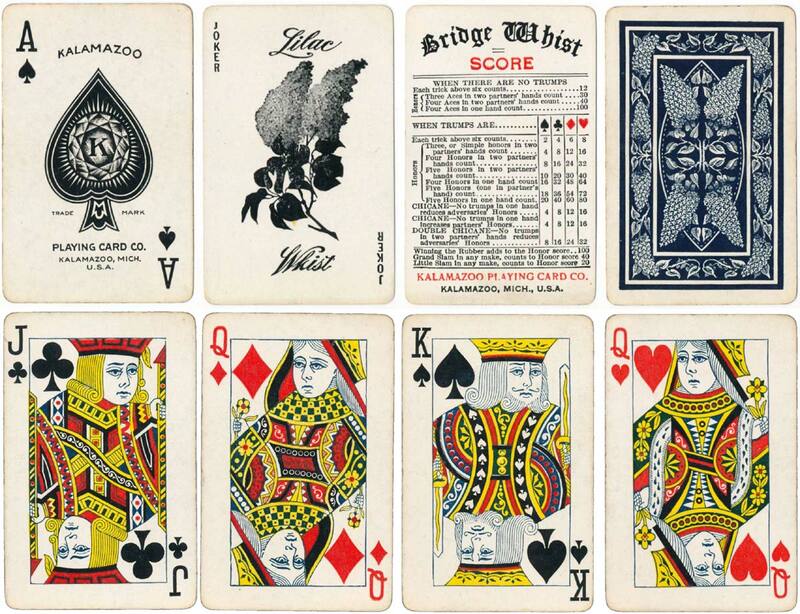 This firm commenced producing playing cards with the name Kalamazoo Paper Box & Card Co in 1903. Their first brands included “Steamboats”, “Strollers” and “Success”. The “Steamboats” brand was probably their least expensive, as was the case with most manufacturers who published a “Steamboat” brand. 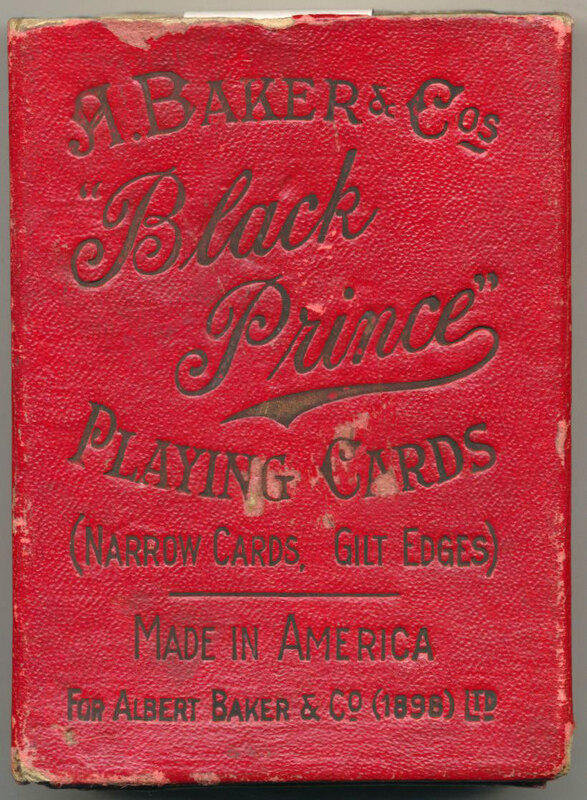 By 1906, after a period of financial difficulties, the playing card manufacturing business had become established to such an extent that the company renamed itself Kalamazoo Playing Card Co., and was thereafter devoted exclusively to the manufacture of playing cards, having dropped the paper boxes. The Kalamazoo Paper Box & Card Co produced “Steamboats” No.66 & No.666. The Aces of Spades and Jokers were more or less the same in either case. 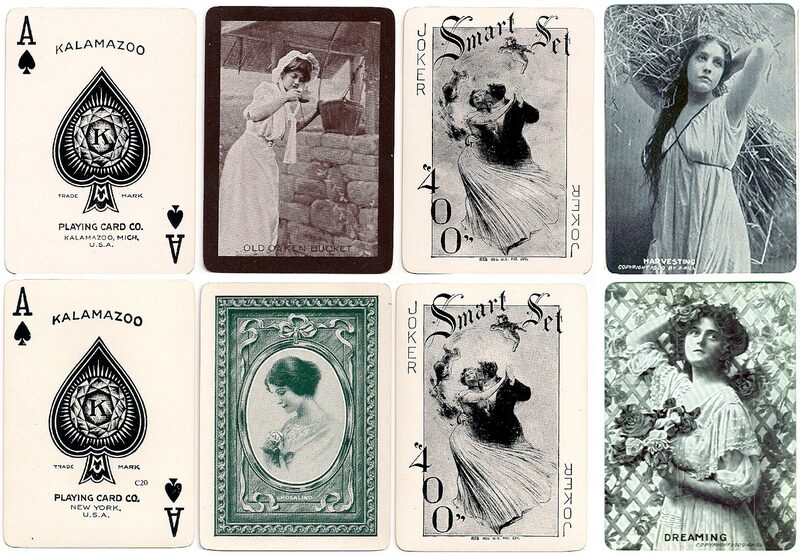 Above: “Lilac Whist” playing cards manufactured by the Kalamazoo Playing Card Co., c.1906. The brand name appears only on the joker. See the Box. Image courtesy Matt Probert. The Kalamazoo Playing Card Company merged with the Russell Playing Card Company in around 1913 or 1914 which in turn merged with USPCC in 1929. Many of the early brand names continued to be produced under the new ownership. For example see: Aristocrat brand published by USPCC, c.1995. 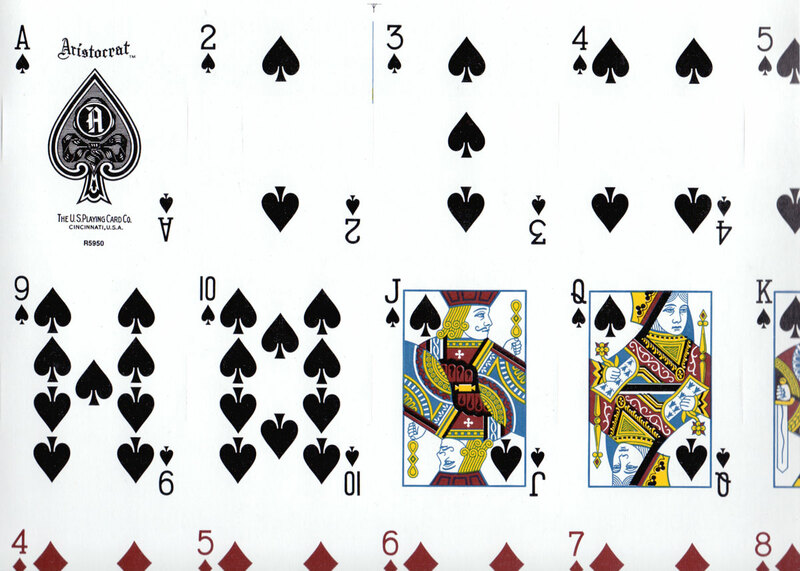 All images on this page, unless stated otherwise, are from the collection of Rod Starling, author of "The Art and Pleasures of Playing Cards".